"After months of research, your court magicians have discovered the means to activate an ancient portal to Osmon Rai that your armies unearthed a year ago. At last, you have an opportunity to spread your kingdom's influence to the sky continent, where you would be able to trade in goods and weaponry from around the world. Despite the potential danger, you board an airship and prepare to travel through the portal to see the endless horizon of Osmon Rai with your own eyes..."
This event consists of a primary Legend available immediately as well three side-Legends that will unlock over the course of the next two weeks. You have to complete your previous side-Legend before unlocking the next one. You will also have more opportunities to acquire Aqua and Inferno from current Legends! This event will be available from Wednesday, December 5th until Wednesday, December 19th at Noon PT. 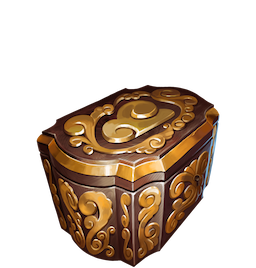 Furnishings exclusive to The Skyborne Shipyard will be available in the Furnishings Shop, Welkinaut Box and Royal Welkinaut Box. Anyone know if choice is repeatable, ie can make all choices just in series? Ty for assistance in advance. I believe you get one choice. Winston, why is the last eb legend cost a horn? I understand some long time players may have many in their inventory but some players may not have it, thus making them buy nobility and paying for something that should be reasonably attainable. I know there are free nobility offers but some of those do not work, as reported by some players. 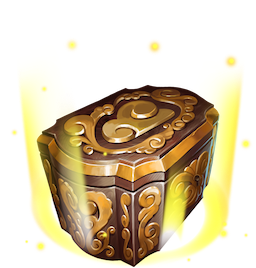 If the horn was tradeable , it could work but it is used to unlock the legend by having it in our inventory, which we cannot have due to it being a premium item. Just one choice is allowed for this series.